Note: this photo was published in a Jun 26, 2009 blog titled "The Art of Unselfconscious Exercise." It was also published in a Jul 15, 2009 blog titled "Behavior Change and Brain Disease: Lessons from History." And it was published in an Aug 4, 2009 blog titled "Sencillos cambios para aplicar cuando corres." It was also published in an Aug 21, 2009 blog titled "Diferentes formas de comprobar los efectos del ejercicio." And it was published in Sep 1, 2009 blog titled " Take a Jog: The Best Kept Running Routes in San Diego." It was also published in a Sep 9, 2009 Spa Magazine blog titled "comotivate to reach personal goals." It was also published in an undated (Dec 2009) Jog4Life blog titled "Beginner Week One Marathon Training." Moving into 2010, the photo was published in a Jan 7, 2010 blog titled "How to Lose Weight With Aerobic Exercises." And it was published in a Mar 22, 2010 Hurraki blog titled "Bild: jogging," as well as a Mar 22, 2010 blog titled "12 Tips for a Physically and Mentally Balanced Life." It was also published in a Mar 31, 2010 blog titled "EUROBAROMETRAS: SPORTAS PER TV VIS DAR LAIMI PRIEŠ MANKŠTĄ 1." And it was published in Jun 16, 2010 blog titled "La corsa “…for dummies” – 8 – Iniziamo a correre: il terzo mese! " It was also published in a Jul 7, 2010 blog titled " Sport hilft gegen schlechte Stimmung." And it was published in a Sep 13, 2010 blog titled "Krafttraining für Läufer nur zu empfehlen." It was also published in a Sep 23, 2010 blog titled "Are You Exercising At the Right Intensity? Do the Talk Test" And it was published in an Oct 8, 2010 Unpluggd blog titled "4 Wrap Around Headphones For Working Out." Moving into 2011, the photo was published in an undated (late Jan 2011) blog titled "Ask The Trainer: Losing Weight." It was also published in an Feb 6, 2011 blog titled "An unexpected benefit of doing the Postaday2011 Challenge!" And it was published in a Feb 15, 2011 blog titled "Why Side Aches Are Such a Pain in the Abs." It was also published in an undated (late Feb 2011) "San Ramon Patch" blog titled "10 Questions." And it was published in a Mar 10, 2011 blog titled "Start running the right way," as well as a Mar 11, 2011 blog titled "Sport per bruciare calorie. Il quiz." It was also published in a Mar 30, 2011 blog titled "Report Highlights Georgia Health Divide." And it was published in a May 10, 2011 LifeHacker blog titled "Get Rid of That Stitch in Your Side with This Three Minute Fix." And it was published in a May 24, 2011 Finnish blog titled "Lenkille kirjaston kautta." It was also published in a Jun 23, 2011 blog titled Thousands RSVP for Global Group Run on Meetup," as well as a Jul 12, 2011 blog titled "４０歳目前にして初めて１０ｋｍ走れたメタボジョギングの話." And it was published in an Aug 15, 2011 blog titled "休日の過ごし方を提案してみました ." It was also published in an Aug 19, 2011 blog titled "How to Stop Working and Go Home At Night." And it was published in an Aug 20, 2011 Mashable blog titled "3 New Startup Tools For Shopping, Selling and Running," as well as an Aug 25, 2011 blog titled "Ejercicios para adelgazar | correr o bicicleta." It was also published in an undated (early Oct 2011) blog titled "5 questions to ask yourself before you get married." It was also published in an Oct 28, 2011 blog titled "25 Exceptional Photos of Runners, Races & Marathons." And it was published in an Oct 30, 2011 blog titled "iPhone4Sは3GSに比べてGPSの精度が高い ." It was also published in an undated (early Dec 2011) blog titled "Healthy and Fit in Bellingham." Moving into 2012, the photo was published in a Jan 3,2012 blog titled "More flexibility at work equals better health, new study confirms." It was also published in a Jan 9, 2012 blog titled "Adelgazar después de Navidades." And it was published in a Jan 12,2012 blog titled "Why Your Stress Problem is Everyone’s Problem." It was also published in a Mar 13, 2012 blog titled "Pierda peso y manténgase en forma con estas aplicaciones." and a cropped, horizontally reversed version of the photo was published in a Mar 26, 2012 blog titled "Migrän oct Nyheter." A cropped version of the photo was also published in a Mar 30, 2012 Toronto Life newspaper blog, titled "Dear Urban Diplomat: should I jog with my manager if it helps get me a promotion?" It was also published in an Apr 5, 2012 blog titled "Cómo cuidar la estética del corridor." 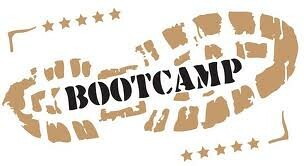 And it was published in a May 24, 2012 blog titled "The 4 Pillars of Great Bootcamp Planning." It was also published in a Jul 4, 2012 blog titled "5 Ways to Save on a Fitness Trainer (in Singapore)," as well as a Jul 5, 2012 blog titled "Sport: evita i rischi durante l’estate." It was also published in a Jul 9, 2012 blog titled "Study: Gym-Goers and Organic Shoppers Give in to Fast Food Temptations." And it was published in a Jul 18, 2012 blog titled "What Can Ruin Your Health More Than Smoking?" It was also published in a Jul 25, 2012 blog titled "Corsa: allenamento e consigli per principianti," as well as an Aug 30, 2012 blog titled "Para adelgazar: mejor correr 30 minutos dos veces que una hora continua." It was also published in a Sep 3, 2012 blog titled "Ponte en forma después del Verano con estas aplicaciones para tu iPhone." And it was published in an undated (early Oct 2012) blog titled "Five Signs of a Healthy Heart." It was also published in an Oct 18, 2012 blog titled "The Right Type of Exercise Is Critical to get the Full Health Benefit." And it was published in a Nov 16, 2012 blog titled "How Much Exercise Do You Need in A Day?" and a Nov 16, 2012 blog titled "Pledge #10: Sharing Shelter," as well as an undated (mid-Nov 2012) blog titled "Consejos a la hora de empezar a correr." An oddly-cropped version of the photo (showing just the joggers’ legs, from the knees down) was published in a Nov 19, 2012 blog titled "RUNNERS COMPLETE GOSPORT HALF MARATHON 2012." It was also published in a Dec 2, 2012 blog titled "What Are You Waiting For? When Is Your Next Workout?" It was also published in a Dec 12, 2012 blog titled "Con la tabella del benessere scopri con quanti Km di corsa migliora la salute." And it was published in a Dec 21, 2012 blog titled "Mit weniger Gewicht auf den Hanteln mehr Pfunde abnehmen." Moving into 2013, the photo was published in a Jan 7, 2013 blog titled "ランニングマシーンで下半身シェイプアップ！" And it was published in a Jan 31, 2013 blog titled "Our Pilgrimage is Not a Race." It was also published in a Feb 2, 2013 blog titled "Why Exercise is Good For Mental Health?" And it was published in a Mar 4, 2013 blog titled "IT Band and Patellofemoral Syndrome: how did your knee pain turn into a ‘syndrome’?" A cropped version of the photo, in which only the woman is visible, was also published in a Mar 25, 2013 blog titled "Why Music Helps You Work Out." It was also published in a Jun 28, 2013 blog titled "Sign Up for the Greater Downtown Council, YMCA Sidewalk Shuffle 5K; Today’s is the Last Day to Register at the Discounted Price." Moving into 2015, the photo was published in a May 1, 2015 LifeHacker blog titled "lHow to Stop Working and Go Home At Night." I’ve strolled through Riverside Park on several previous occasions (click here to see a collection of approximately seven other Flickr albums of my Riverside Park photos) — but even though the sign at the 96th Street entrance is always the same, and the pathway is always the same, the people and the individual vignettes are always different. Sometimes it’s simply a function of the weather: people dress differently, act differently, and are engaged in different activities in early spring than they do in summer or late fall. But much of it simply has to do with the incredible variety of people who take advantage of the opportunity to relax, read a book, jog, or picnic with their families. So … this just happens to be what it looked like in Riverside Park on the last day of May, in 2009. For some people, personal fitness comes quite naturally and for others it is something that has to be carefully planned and monitored for progress. The following article can help anyone reach their fitness goal. Are you like many others and have very little free time in your life? Divide a single workout up into two different sessions. You don’t have to workout for a longer period of time; just split one workout in half. Therefore, instead of working out for a one hour burst, split it into two half-hour sessions, one morning and one night. If you would rather not visit your fitness center twice in a single day, you could do one workout at the gym and then do another workout outdoors. When you are doing weight training, start small. This is because small muscles tend to tire quicker, so you should target these muscles first before heading onto the bigger muscles in the body. This is because if you are working out big ones the smaller ones may strain. Set your goals first and this will help determine the rate at which you strength train and how often you must hit the gym. If your aim is to bulk up, you should do more intense sessions on a less frequent basis. But if you’re trying to chisel leaner, more sculpted muscles, then up the number of strength training workouts you get in. Be sure you’ve got the correct shoes for your exercises. If you were shoes that are properly designed for a specific activity, you risk leg and foot injury. Even without more serious complications, wearing the wrong footwear makes your exercises uncomfortable and makes it harder for you to stick with them. To increase forearm strength, try this simple strategy from racquetball and tennis players. Start by placing a large sheet of newspaper on a table or some other flat surface. Crumple the whole newspaper for 30 seconds, using your stronger hand. After repeating this exercise twice, switch hands and perform the same action once, then twice more with your dominant hand. Don’t exercise when you’re ill. If you are ill, your body has to use its energy to heal itself. It’s unlikely that you will add muscle to your frame or have the stamina for a workout while you’re under the weather. So, halt your workouts until you have recovered. Also, you will want to eat great and get extra sleep. When you want to meet goals in fitness, it’s a good idea to pay a trainer before starting to train. By doing this, you give yourself a powerful motivational tool: You’ll want to keep your commitments to avoid wasting the money you’ve already spent on the trainer’s services. This is largely because the sessions are already paid for and not a recurring expense or bill hanging over your head. You are going to want to get what you paid for. You are certain to get something from the information in this article, whether you are a beginner or someone very familiar with fitness. Educate yourself on all the tips and try and incorporate them into your every day fitness routine. Make time to exercise, and exp lifelong benefits.